Our main camp season runs from June 18th to August 10th. We run a post-session minicamp the week of August 13-17. Check here for more info on dates and rates. Camp is located primarily at the Lafayette Reservoir. We hold our swim program at the Soda Aquatic Center, at Campolindo High School in Moraga and our Riding program at a private ride site in Moraga. If you are looking for directions to our camp locations, check here. The camp day runs from 9:00 – 3:00 pm. Bus pick up times are between 8:00am – 8:55 am and Drop off is 3:00 – 4:00 pm. We offer before and after camp programs with morning care available at 7:00 am and late afternoon drop offs between 5:20-6:30 pm. What are the camp office hours? During the summer, the office is open from 7am to 7pm. If you need to reach us before or after hours, email us or call and leave a message and we will get back to you first thing in the morning. Are electronics and cell phones allowed at camp? We ask that campers leave any electronics and cell phones at home. Camp is an opportunity for campers to unplug and make real connections with friends and nature. Roughing It a place for children of all ages discover the wonders of the great outdoors. What are items are not allowed at camp? Along with valuables, toys and trinkets, we also ask that you leave any electronics, accessories, makeup and weapons of any kind at home. Here is a more detailed list of what you should and shouldn’t bring to camp. What do campers do for lunch and is food provided? Campers should bring their own lunch from home. If a camper attends camp plus, we provide a light snack. For detailed lunch guidelines, check here. Due to food allergies and dietary needs of our campers, we don’t allow campers to share food with each other. If your camper has a food allergy, please indicate this on their application so that all staff can be aware. Can my camper be in the same group as their sibling? Campers are grouped by age and gender. If they are in the same year of school and the same gender, then they will be grouped together, otherwise they will be in their respective age groups. They will be able to connect with each other on the bus to and from camp though, and this will allow them to branch off and meet other campers in their group. For a more detailed explanation on how campers are grouped, look here. Campers are grouped by age and gender. So if the campers are, for example, both girls going into 4th grade, then they would be in the same group. However, please keep in mind that campers are paired up with new buddies every day in order to build the group community and allow campers to meet and befriend new people. For a more detailed explanation on how campers are grouped, look here. Does my camper need to come with a friend to camp? Definitely not. We love it when camper families bring in new friends to camp, however most of our campers come to camp without knowing other campers. Campers will be paired up from the moment they step onto the bus with a bus-buddy, usually someone who has attended camp before and who can help answer any questions. Campers also get a new buddy every day in their group to help make sure that everyone in the group gets a chance to interact and engage with each other. This helps to build our camp spirit and camp community, and we find these friendships continue summer to summer with campers looking forward to reuniting with their camp friend each June. Can my camper miss a week of Day Camp? We strongly recommend that campers attend day camp for the entire 4 week session. The reason for this is that campers create bonds with their fellow campers every day and it can be challenging to miss out on those bonding experiences and especially to rejoin a group dynamic after being absent for an extended period of time. Of course, our staff will do all we can to get your camper back in the swing of camp when they return. We do understand that things come up, and we ask that you let us know as soon as possible if a camper is going to be missing camp. We are unable to offer prorated rates or refunds for missed camp. How can I communicate with my camper’s counselor during camp?  Please call our office at 925-283-3795 and we will be able to get a message to your camper or their counselor. If you need to speak directly with the counselor, they will be able to return your call as soon as the camp day has ended. Please call into the office or send us an email as soon as you know that your camper is going to be absent, even if it is the morning of the absence! Our office number is 925-283-3795 or you can email camp@roughingit.com. What do campers do on hot days? We have a hot weather plan where we modify activities, bring extra shade and water to the sites and take lots of breaks. Our staff is trained to be aware and on the look-out for signs of over-heating and heat-related-illness prevention. How hot does it get at camp? The average temperate at the reservoir during the summer is 82 degrees. We have hot weather and rain plans in case of a dramatic change in temperature. How are campers protected from the sun? Counselors all carry sunscreen which is applied multiple times throughout the day. We apply in the morning, mid day, and before and after swimming and riding. We also encourage all campers and staff to wear hats at all times. What if my camper needs to take medication while at camp? If your camper will need to take medication while at camp, please provide this information on the camper application, or let us know as soon as possible. Parents will provide the medication with instructions and give Roughing It written permission to administer medication (this includes prescriptions as well as over the counter medications). For any medications needed in life threatening situations, such as an Epipen or inhaler, campers will keep these with them. All other medication is kept in a secure medical box at camp and will be administered by a camp administrator as directed. For more info on medication at camp, look here. What is the difference between Day Camp (4-8 week sessions) and Outdoor Explorers (1 week sessions)? Our Day Camp 4-week program is designed as a group experience with longer sessions to give campers more opportunities to learn new skills, form lasting friendships, and bond with their group. Outdoor Explorers runs in 1-week sessions throughout the summer at the Lafayette Reservoir. Roughing It Day Camp ( 4 week sessions for Preschool-10th graders) offers a wide variety of outdoor activities to challenge campers of all ages including: horseback riding lessons, swimming instruction, canoeing, boating, kayaking, fishing, sports, crafts, nature, hiking, outdoor skills. Campers spend the day with their camper groups, which are based on age/grade and gender (there are separate groups for preschool through 10th grades). All camp activities are designed for each age/grade level, to build skills for beginner through advanced abilities and to be fun for all ages! Our 4-week day camp program is designed to build friendships, camaraderie, and community. Learn more about Roughing It Day Camp. Outdoor Explorers ( 1 week sessions for 1st-6th graders ) is a 1-week program full of outdoor activities exclusively at the Lafayette Reservoir. Outdoor Explorers participate in co-ed mixed-age groups, with separate groups for younger campers and older campers. Included activities are: Fishing, nature exploration, boating, outdoor living skills, hiking, crafts, and games. Horseback Riding and swimming are not included in our 1-week program. Outdoor Explorers spend part of each day enjoying activities with their group and counselor, and 2-3 choice periods every day where they get to select their own activities. Campers who attend multiple sessions of Outdoor Explorers throughout the summer meet different friends each week. Learn more about Outdoor Explorers. What is the difference between Little Raccoons and Outdoor Explorers? In Outdoor Explorers, younger campers and older campers do the majority of activities together. The focus of Outdoor Explorers is on choose-your-own activities, rather than group- or skill-based activities. Little Raccoons ( 2 week sessions for Preschool-2nd grades ) is our introductory camp program for young campers in Preschool through 2nd grades. It is specially designed to provide these younger campers with a more nurturing intro-to-camp experience, with 14 days to develop friendships and learn new skills in a small group setting. Campers are grouped by their age and grade in school. Little Raccoons spend the entire day with their group and counselors doing all the activities together. Little Raccoon activities are taught at an introductory level and their activities include swimming lessons, fishing, boating, sports, hiking, crafts, stories, singing, and games. Horseback Riding and Canoeing are not included in our 2-week program. Learn more about Little Raccoons. Outdoor Explorers ( 1 week sessions for 1st-6th graders ) is a 1-week program full of outdoor activities exclusively at the Lafayette Reservoir for 1st-6th graders. Outdoor Explorers participate in co-ed mixed-age groups, with separate groups for younger campers and older campers. Included activities are: Fishing, nature exploration, boating, outdoor living skills, hiking, crafts, and games. Horseback Riding and swimming are not included in our 1-week program. Outdoor Explorers spend part of each day enjoying activities with their group and counselor, and 2-3 choice periods every day where they get to select their own activities. Campers who attend multiple sessions of Outdoor Explorers throughout the summer meet different friends each week. Learn more about Outdoor Explorers. What is the difference between Day Camp and Horse Day Camp? Roughing It Day Camp (4-week sessions / PreK-10th graders) offers a wide variety of outdoor activities to challenge campers of all ages including: horseback riding lessons, swimming, canoeing, boating instruction, fishing, sports, crafts, nature, hiking, and outdoor skills. Campers spend the day with their camper group, which are based on grade and gender. All camp activities are geared for campers’ specific grade levels, designed to build skills for beginner – advanced abilities and to be fun for all ages! Our 4-week day camp program is designed to build friendships, camaraderie, and community. Horse Day Camp (2-week sessions / 4th-10th graders) is a two week specialty English Horseback Riding Camp for beginner through advanced riders. Campers spend all day participating in horse activities at our ride site and ranch in Moraga. Activities include: Two daily English riding lessons, mounted games, horsemanship, vaulting, and horse care. We are proud to offer First Student buses to pick up your camper and bring them to camp. Here is some info on our buses. How do I know what bus my camper will be on? We offer an extensive list of central bus stops all around the bay area for the convenience of our camper families. Take a look at the list of stops offered. These stops are subject to availability and are on a first come first serve basis. We also offer home pick up’s for campers enrolled in our 4 and 8 week day camp programs. Where is home pick up available? Home pick up is available for our 4 and 8 week Day Campers. We offer this service in Lamorinda, Walnut Creek, Pleasant Hill, Piedmont, Rockridge and Central Berkeley. How do I sign up for home pick-ups? If you would like home pick-up, click here to fill out a transportation request form to see if we are able to meet your home pick up needs. Please note that home pick up is only available for 4 & 8-Week Day Camp. Can my Outdoor Explorer, Horse Day Camper, or Little Raccoon Camper get home pick up? Home pick-up is only offered for campers enrolled in our 4&8 week Day Camp Program. For Outdoor Explorers, we offer our 35 central bus stop locations, and unfortunately do not offer home pick-up, regardless of how many sessions of Outdoor Explorers a camper is enrolled in. All Roughing It buses are driven by professional bus drivers, and have a counselor on board to supervise the campers. Camp starts everyday on the bus, and its a fun place for campers to be. Campers will be picked up either at home or at a central stop by a Roughing It bus. Here, you will be able to briefly interact with your campers bus counselor (this is usually not the same person as their group counselor). The bus then drops campers directly at the Lafayette Reservoir. The bus will then pick campers back up in the afternoon and drop campers off at the same stop where they were picked up. For more info on bus policies, check here. How will I know my bus stop and pick up time? We will email this info to you the week before your camp session starts. Can I have my camper switch buses? We are unable to make bus changes once the session begins for the primary morning and afternoon routes. If a camper needs to go home on another bus, it is possible to have campers switch to another stop after attending a camp plus activity. For more info on bus policies, check here. What happens if I am running late to the bus stop? In the morning- we are unable to wait at a bus stop past the designated time. If you barely miss the bus, call our office at 925-283-3795 and we will try to direct you to the next stop to meet up with the bus. Alternatively, you may need to drive your camper to the Lafayette Reservoir and drop off your camper with one of our counselors. (Please do not leave a camper unattended at the reservoir). In the afternoon- we are unable to have the bus wait at a stop past the designated time. The camper will stay on the bus with the counselor until the parent can be reached. Please contact the office as soon as you can if you know you are running late so that we can try to get you to the proper stop to meet up with your camper. If you are unable to meet up with the bus to pick up your camper, they will be taken back to camp plus. More info on buses and bus policy. What if I need to pick my camper up early from camp? If a camper needs to be picked up early, please call the office and let us know! It is important that we know what time your camper will be picked up so that we know where to direct you. The office will either direct you to the Lafayette Reservoir or the pool at Campolindo high school, depending on where your camper is. Please check out with their counselor and unit leader before taking your camper. All buses are Type A school busees with 3-point lap and shoulder belts. How are riding lessons taught? Campers are grouped based on their ability level and are taught by our experienced riding staff. For more information on the riding program and the different levels of riding, click here. What if my camper has never ridden? Not to worry, our experienced horse staff will make sure your camper is comfortable and feels confident getting on a horse. We group campers at riding by age and ability level, and our beginner group is specifically designed for riders with little to no experience to help them gain the skills they need to become strong riders. Can my camper bring his/her own helmet? Absolutely! Your camper is more than welcome to bring his/her own ASTM/SEI certified riding helmet to camp. Any other types of helmets including bicycle helmets do not meet the safety requirements for horseback riding, and unfortunately won’t be able to be used. Can my Kindergartener go horseback riding? Yes! All campers in our Day Camp program from PreK to tenth grade go horseback riding. For our youngest campers in Kindergarten and PreK, horseback riding lessons are one-on-one, so all campers will have a buddy walking next to them at all times. Do you have programs for advanced riders? Absolutely! At the beginning of the first riding lesson, we assess each camper’s riding ability and put them into one of three groups based on skill level, so riders always work on skills appropriate for them. Advanced riders can practice on our cross-country course, go on trail rides, and work on various disciplines such as dressage, jumping, and drill team. In addition, on Friday afternoon campers 5th grade and up can participate in SuperChoice Riding, where we offer specialty clinics in 3-day eventing, gymkhana, trail courses, and more. What if my camper wants to ride every day? For horse-crazy campers who want to ride every day, we offer Saddle Club in Camp Plus for campers going into second grade and above. How are campers supervised at swimming? Campers are supervised 100% of the time at camp, including at the pool. There is a life guard on duty at the pool, as well as all of our swim staff who are certified life guards and are in the pool with the campers. How are swim lessons taught? Swim lessons are taught in small group settings in accordance with the American Red Cross lessons, which are designed for varying ability levels. For more info on our swim program, click here. Do you provide the same bus stops for CampPlus as you for regular camp? For morning Breakfast Club, campers are dropped off by their parents at our Breakfast Club program in central Lafayette. A bus will shuttle them to the camp site before camp starts. For afternoon extended care, we service most of the same areas, but bus stops are more limited compared to normal bus service because this is a much smaller program. We do not provide home drop off service for extended care. Will extended care be too long of a day for my camper? Most campers do just fine when they add extended care to their day. There is downtime at the beginning of the program, where campers have a small snack and rest period. Saddle Club, Swim Club, and Twilight Fishing are activity based, while Reservoir Club is an open program where campers can do crafts, sports, or have quiet time with a book. Parents can switch extended-care activities, or cancel extended-care, if they wish to lessen the activity for their camper at this time of day. 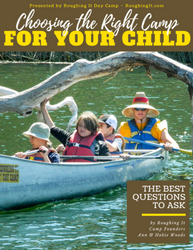 Camp Founders Ann and Hobie Woods teach you how to choose the right camp for your child!